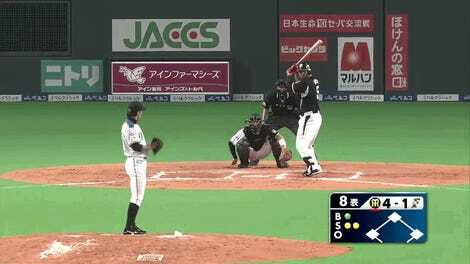 Some things that 22-year-old Shohei Otani has done this year: break his own record for the fastest pitch ever thrown in Japanese baseball (102 mph), post a 1.86 ERA and 0.96 WHIP in 20 games as a starting pitcher, hit really goddamn well when he wasn’t pitching (.322/.416/.588 with 22 home runs), and put all of that together to lead the Nippon Ham Fighters to the Japan Series Title. And today, in a pre-World Baseball Classic exhibition game against the Netherlands, he crushed a ball straight into the ceiling of the Tokyo Dome. Judging by the faces of everyone watching in the video below and the confusion that follows, this is not something that happens often; though it almost certainly would have been a home run in a stadium without a roof, it was ruled a ground rule double. Otani is still under contract with his NPB team, but there’s a chance he could be posted for MLB teams for the maximum fee of $20 million—which might be a particularly attractive possibility in a weak free agent class, one where a GM has already said Otani would be “by far the best pitcher on the market.” And as seen above, a legitimate two-way player, too.